Also, on BGS’ assertion that we can play 76 in a “solo” mode, that tells us nothing, because you can do that with practically any MMO, to mixed results usually, but yeah, sure. There’s a single-player experience to most of these anyway so that single players can level-up to match their peers, so again, they’re telling a truth, but the experience is far less than a true single-player game. What people should be asking instead is this: Is it an online-only game? I am convinced that 76 is purely online, with zero allowances for offline play. Personally, my sole reason for playing any BGS title is for the ability to mod it to my own gaming satisfaction, like we could in previous titles, And going into the presentation on 76 that was one of my chiefmost concerns, naturally. At first, I was relieved to hear Todd mention they were going to implement modding in 76, but then he said it would come later. We’ve heard that before, when Fallout 4 was announced they said modding would come to consoles, which not only did not pan out so well, and got delayed, but not only did they fail to secure Sony’s blessing in this, bu they blamed their failure to account for this entirely on Sony. (BGS _knew_ Sony had become highly, or perhaps even overly-, protective of their network, and yet they had not even bothered to inquire with them that it was even allowable to do what they were proposing, which was to breach their platform’s security to allow third party access to it? No, this one was on BGS for selling us on snake oil. But that’s a whole other argument in itself.) Needless to say, I am dubious of Todd and BGS’ promise to allow “modding” on the Fallout 76 MMO, because modding and MMO’s are like oil and water. Then there is that teaser for Elder Scrolls 6, and while I was relieved to learn they were at least in pre-production on it, given what we had learned about FO76, I am now worried that BGS is now attempting to steer into the online-only game market, and TES6 might well be the first one in that series that requires us to connect online to be able to play it, which means no open modding and only their “Creation Club” micro transactions. But what I was mostly hoping to hear about at their conference came to pass, which was confirmation of Starfield. Supposedly they had plans for this Science Fiction based RPG going back before they acquired Fallout from Interplay, and they began pro production sometime in 2013, which puts it perhaps on par with Fallout 4. What got the rumor mills going recently last year was that BGS secured the trademarks for the Starfield name and the details for a space based game began being leaked in earnest. So this E3 we got a definite teaser trailer which confirmed that it was definitely real. I watched Danny O’Dwyer’s video documentaries (via his Noclip production company) to hear Todd say they are real close on Starfield while TES6 is just in pre-production.) Their objective is to launch FO76 this year and then get Starfield completed. 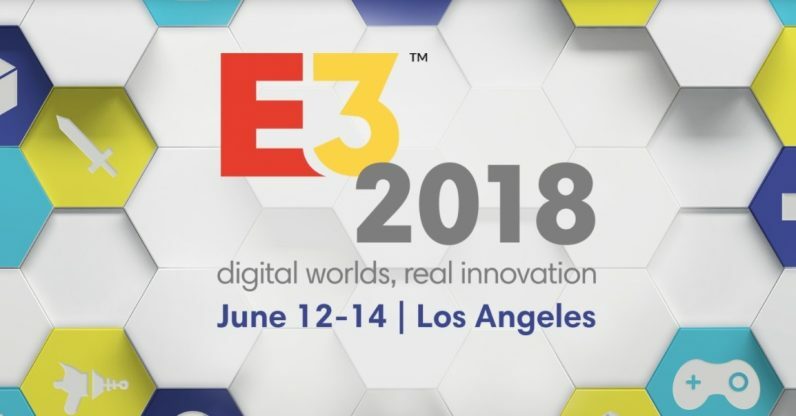 I am guessing this we might see Starfield as early as E3 next year, but to hedge my bets, it might be more like 2020. Considering the schedule and timing for how Fallout 4 suddenly sprang on us in 2015, I am somewhat hopeful that the same thing could happen next year with Starfield — the timing appears right for it. Wall of text, I know. So I’ll leave it here for now, reserving the right to revise and extend my commentary, as usual.